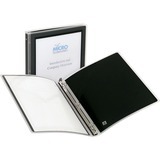 Are you looking for an easier way to keep your loose-leaf papers organized? 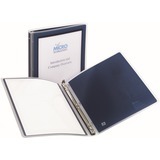 Half-inch binders are the perfect solution when you need to sort through documents quickly. 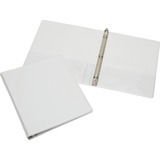 The rings can easily open and close so removing papers when needed is fast and efficient. 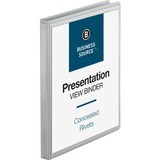 Whether you need to hold presentation materials, proposals or every day office forms, binders keep and display all information in one place. 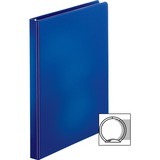 With an array of different sizes and accessories available, three ring binders can be a beneficial office product that keeps your business running smoothly. 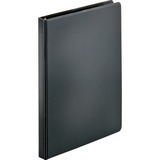 When it comes to finding the right size binder, it may be hard to distinguish which one is best for you. 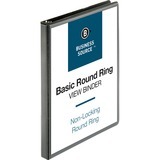 To take the guess work out of this equation, we have outlined the best uses and benefits of 1/2 inch binders. Used for smaller presentation needs. 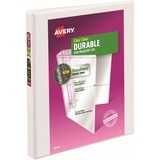 Can carry up to 100 sheets of paper.